In the UK, it is a legal requirement for all businesses to keep accurate and up to date financial records. This applies to all businesses, from sole trader to global corporations. If they fail to this, it is a serious offence, resulting in fines and extreme cases, imprisonment. Therefore, it is vital for any business to not only understand their financial responsibilities but to ensure that they adhere to the rules set. The services of a bookkeeper for any business is not to be underestimated. For many qualified bookkeepers, it provides the opportunity to work for themselves and with businesses across all sectors and industries is a rewarding challenge. Is now the right time to become a bookkeeper? In recent years, the economy has faltered and stalled, taking large and small businesses to the brink – some have folded, with large, well-known brands and household names becoming victim to the recession. With recessions comes loss of jobs, and hard economic times for many businesses. On one hand, they pull as many outsourced activities back within the firm as they can to reduce running costs but there is one constant that many companies have learnt to keep hold of – the bookkeeper. In the UK, there are thought to be millions of sole traders, over a million limited companies and half a million partnerships. All of these will need their finances to be kept in order and with business gurus advising businesses that tight financial planning is a contributor to ongoing success, there is a ready market for bookkeepers. With an estimated 3,000 registered bookkeepers in the UK, there is a need for qualified and experienced bookkeepers thus, the time IS right to take the plunge and become a bookkeeper. The good news is that you don’t need a string of GCSEs and A levels or a degree to become a bookkeeper. What you do need, however, is logic and common sense. You also need to be able to focus and concentrate for long periods – many practising bookkeepers say that they see bookkeeping as a puzzle to be solved – as well as have an eye for numbers and ‘patterns’. It is a respected profession and one in which over time, you will develop knowledge and understanding of different kinds of business. This means that you will be able to understand how a company manages it finances. You can use the latest methods and technologies to feedback to businesses what they are spending their money on. In some instances, seeing these figures in the cold light of day can be the catalyst a business needs to drive through efficiency measures. Regarding qualifications, a Level 2 course should be sufficient in helping you acquire a role in an industry in how to become a bookkeeper. This is a GCSE level course that provides the foundation on which to carry on building your own business as an accountant. Many people choose to complete a Level 2 Bookkeeping and Accounts course, followed by a Level 3 course. There are also bookkeeping courses that provide a great introduction to the profession if you are looking to dip your toes in and see if this is something that you would like to explore further. There are also Level 4 courses linked to bookkeeping, as well as specialist courses that can also make your services invaluable such as payroll management and self-assessment tax returns. Many people do make a living from keeping the books of many businesses, both small and large and across all sectors. In many ways, bookkeeping is not just about tallying numbers in columns but about creating relationships with your clients. 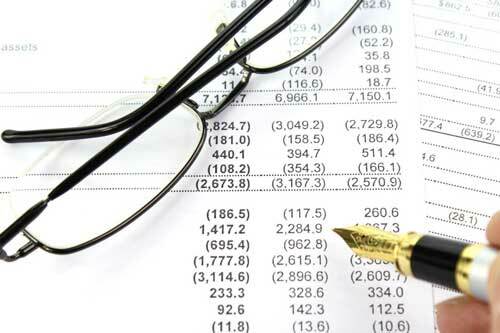 Companies will come to rely on you as their bookkeeper for financial information. Having the backing of an organisation can help too. The Institute of Certified Bookkeepers, for example, is the largest bookkeeping organisation in the world. It offers professional qualifications that are updated to fall in line with changes in accounting and finance laws as they relate to UK businesses. Being a member of this body will be essential if you are planning on being a self-employed bookkeeper. There are all kinds of financial responsibilities on a business, many with legalities attached to them. As a business grows, it needs to keep a close eye on its finances, from monitoring spending to ensuring that fraud is also not compromising its operations. Thus, any business from the smallest to the largest company will take bookkeeping services seriously. If you do have an eye for numbers and think bookkeeping may be the profession for you, then why not take a look?